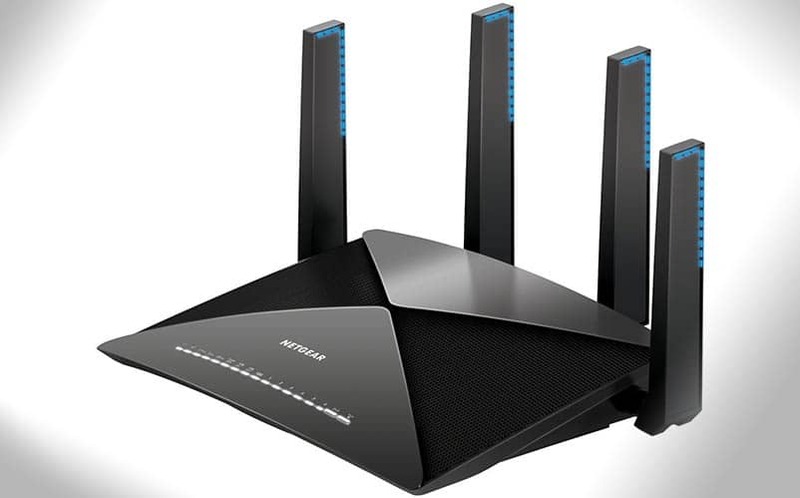 Netgear Nighthawk X10: Fastest Router Available Soon | Nerd Much? Netgear has unveiled the latest entry in their Nighthawk line of routers, as they’ve introduced the Netgear Nighthawk X10 which is set to officially hit retailers on October 31st. First notable about their newest gaming router is that they’ve ditched the eight-antenna look of the Nighthawk x8, replacing it with just four antennas. According to Netgear, they’re actually active antennas that will allow for better Wi-Fi coverage and faster speeds. It’ll feature Quad Stream Wave 2 WiFi support for speeds up to 4600+1733+800Mbps. It’ll use the fastest 60Ghz 802.11ad Wifi technology that’s currently available for lightning quick, near-instant downloads and minimal latency while playing online games. The new Netgear Nighthawk X10 will also include Plex Media server integrated into its software, allowing users to stream their media anytime and anywhere. It can all be configured through the Netgear Up app on Android or iOs mobile devices. The new router also contains two USB 3.0 ports for additional storage and devices, and it has six Gigabit Ethernet LAN ports. You can pre-order the Netgear Nighthawk X10 right now on Amazon, and it’s expected to ship at the end of the month. For more cool stuff, stay tuned to Nerdmuch.com. You can also give us a shout on Twitter if you’d like.